This is supposed to be the deepest draft since 2003, when Lebron James, Carmelo Anthony, and Dwyane Wade burst onto the NBA scene and become eventual superstars. Upwards of 10-12 teams have been suspected of tanking for the services of potential impact players like freshmen Andrew Wiggins, Jabari Parker, and Julius Randle. Rightfully so, considering the immense amount of talent when it comes to 1st Round talent in this year’s draft. Besides the talented freshmen, there’s also some experienced college players like Marcus Smart, Doug McDermott, Adrien Payne, and Kyle Anderson that could fill an immediate need for a number of teams in need. These picks are based solely on best player available without taking into consideration as to team needs yet. These are only my choices and not the consensus picks of all of The Hoop Doctors writers, with that said here is my 2013 Mock Draft:Version 3.0. After many had criticized Wiggins for being too passive over the early part of the season, he has begun to show why he has the biggest upside of any prospect in this year’s draft. Quickest first step and most athleticism of a player in years as some predict he could be the next Tracy McGrady that plays defense. Losing in the 1st Round of the NCAA Tourney probably won’t hurt his draft stock as Parker is arguably the most ready prospect in this year’s draft to come in and put up numbers right away. May not be as athletic or have as big of an upside as Wiggins but the Carmelo Anthony clone is a nice fallback option at #2. Some scouts have suggested that despite playing overseas, Exum could one day be the best player to come out of this draft. His outstanding size and quickness at the point guard position has seen him compared to a young Anfernee Hardaway or Michael Carter-Williams with a better jump shot. Embiid remains the best big man prospect in the draft but concerns over a back injury definitely may hurt his stock as many don’t want a repeat of Greg Oden a few years ago. With that being said, he eerily resembles HOF center Hakeem Olajuwon in the post. Despite Kentucky’s growing pains this season, Randle remains a bright spot as one of only 4 players to average a double-double in the NCAA this season. He’s a bull inside the painted area and projects as a prolific low post power player at the next level with above average handles and 3 point ability. Think a more powerful Jamal Mashburn. Smart has had an up and down sophomore season but could be one of the sleepers in this year’s draft as he is an elite defender and born leader. His well built frame is tailor made for the next level and has some sneaky athleticism that is better than originally thought. Smart could come in and be an impact player from Day 1. One of the most intriguing young prospects in this year’s class, Vonleh had a stellar freshman campaign despite Indiana having a down year. Prototypical size for the PF position, Vonleh has a motor that doesn’t quit, great rebounding instincts, and developing offensive set. The comparisons to Larry Bird may be a stretch but “McBuckets” is a legitimate Top 5 all time NCAA scorer and moves extremely well wint and without the ball. He’s an offensive force that an innate knack for scoring the rock. Unlike some high scoring college players before him(ie, Jimmer Fredette), McDermott has the size and staying power to be a very good player in the NBA. The nephew of former Chicago Bulls star Horace Grant has battled injuries but is arguably Syracuse’s most athletic player. Another year in college could make him a POY candidate but the developing forward is already getting Lottery buzz for his rebounding, finishing ability, defense, and length. Viewed as Blake Griffin Lite, Gordon has excelled as a defensive demon after Arizona forward Brandon Ashley went down for the season. His intensity and desire to win is infectious. He’s a physical freak that is still getting better but finishes better than any player in the draft. Somewhat in the shadows of Jabari Parker, the former Miss State transfer is one of Coach K’s favorite all time players after just one season. He should be a lock to go in the Lottery for his stat-stuffing abilities and elite 3 point prowess from the SF position. The tough as nails guard has battled injures in his 2 seasons with the Spartans but is one of the nation’s top SG’s despite being slightly undersized. The former HS football standout is an unbelievable athlete, above average defender, and capable scorer for one of the nation’s top teams. In just two seasons under Rick Pitiino, Harrell has developed into one of the most sought after forwards in the college ranks because of some freakish athleticism, defensive prowess, and rebounding ability. 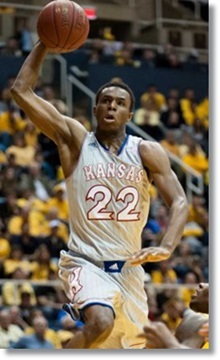 Many see him as the 2nd coming of Kenneth Faried. One of the nation’s top freshmen, Ennis has taken over for MCW and hit the ground running, as the maestro of one of the nation’s top teams. He’s a born leader that rarely turns over the basketball with an underrated scoring stroke. With tons of experience on the International stage, Ennis appears much more mature than a college freshman. Easily the college game’s quintessential “match-up nightmare”, Anderson is an under the rim type player that amazingly can play any position from PG to PF with the Bruins. His 6’9 frame is perfect for the next level and despite a perceived lack of athleticism, “Slo-Mo” could be a walking triple-double in the NBA, reminding many of Lamar Odom. Another one of Kentucky’s star freshmen, Young is an elite offensive force that excels from behind the arc. He projects well at the next level as a sharpshooting SF with above average ball-handling skills. Another year in college would do wonders but left-handed marksmen are a commodity in the Association. Minus the injuries this season, Payne would probably be a lock for the Lottery as he has tremendous size, athleticism, and range for the PF position. Finally healthy, he has game takeover ability, as evidence of his 41 point outburst in the NCAA Tourney. Possessing incredible size and length, Austin had a solid sophomore season at Baylor, leading them to another NCAA Tourney birth. He still is rather thin but rebounds and blocks shots at an above average rate in addition to having offensive range outside the 3 point arc. One of the nation’s most improved players, Warren has emerged as an elite scorer that quite simply drops buckets at an alarming rate. He helped lead an undermanned NC State squad back to the NCAA Tourney, scoring 30 and 40 points in game on multiple occasions. Many have touted Saric as the “Next Dirk” because of his ability to score, push the ball, and play within the painted area. He could be a game changer at the next level but concerns remain about a lack of foot speed and ability to defend quicker players. Potential diamond in the rough? Easily one of the nation’s top PG’s, Napier is the unquestioned leader of the Huskies and boasts winning an NCAA Title on his resume alongside Kemba Walker 2 seasons ago. Although small in stature, Napier is a stat stuffer, providing timely assists, clutch scoring, above average rebounding, and tough defense. After 3 seasons at UNC, it may finally be time for McAdoo, a former highly touted HS player, to move on to the NBA. He is a unique physical specimen that rebounds well and scores within the painted area but may be a tweaner at the next level. Once thought of as a bonafide Lottery pick, the 7 foot athletic shot-blocker has failed to develop much of an offensive game in his two seasons at Kentucky. He has game-changing shot-blocking ability and an immense amount of athleticism but not star potential at the next level. In just his 2nd season at Michigan, Stauskas has emerged as an elite perimeter threat, leading the Wolverines to the NCAA Championship game last season. An unconscious 3 point shooter, Stauskas has improved ball-handling skill and can score off the bounce and spot up situations. Possessing the physique of an NFL defensive end, few players are more physical inside the painted area than Young. He brings experience, physicality, and rebounding but is average at best offensively. Going deep in the Tournament may boost his stock to late Lottery. Because of playing in a smaller conference, Early is often overlooked, but is an National Wooden Award candidate. At 6’8, he is a match-up nightmare at the 3, that brings scoring, rebounding, and defense in helping the Shockers finish a perfect 34-0 regular season. One of the nation’s most exciting to watch players, Smith scores with ease and is impossible to guard in the open floor. Measured favorably at an even 6 foot, size is an obvious concern at the next level. May be tailor made for a 6th man role in the NBA. Although only a freshman, LaVine has already drawn comparisons to OKC Thunder PG Russell Westbrook for an amazing amount of athleticism from the PG position. Overshadowed a bit by teammate Kyle Anderson, LaVine could be one of the nation’s top players if he returns next season. Exiled from UNC, Hairston has found a home in the NBA D-League. He has torched opposing defenses, dropping 40 points in a game with the Texas Legends, opening eyes of NBA scouts that could envision him as a starting 2 guard with impressive size and perimeter skills. A tad disappointing as a freshman, and one half of Kentucky’s highly touted Harrison twins, SG Aaron averaged nearly 14 ppg and showed outstanding size and an elite 3 point range on his jump-shot. Staying another season could see him become a POY candidate but Kentucky is known for churning out NBA prospects. Allen Moll has been a lifelong NBA and NCAA College Basketball fan who watches and studies games religiously, and coaches youth basketball in his native Lehigh Valley region of Pennsylvania. Allen has also provided content to Bleacherreport.com, Upperdeckblog.com, Cleveland.com, CSN Philly.com, Buckets Magazine, in addition to being a tenured NBA and NCAA columnist for TheHoopDoctors.com.